Develop and refine management and supervisory skills training to strengthen the present and build for the future. 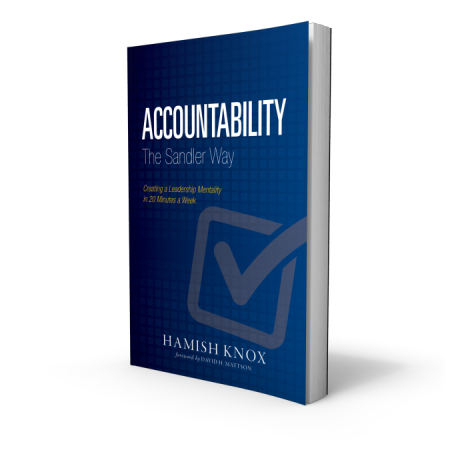 Having trouble holding your team accountable to best-practice behaviors? Concerned that your coaching efforts are not helping drive better performance? Fed up with the lack of a structured selling process on your team, but are unsure how to put on in place? Consistently struggling to hire strong performers? Strategic Management Solutions is our premier ongoing Leadership / Management Development Program in Seattle, WA. The Sandler Management Development program provides a forum to learn best practices for managing and leading in your organization. Additionally, the program provides an environment where ideas are shared, discussed and refined among management peers. Involvement in the program will allow participants to steadily travel a path of professional and personal development and growth. This monthly class explores topics critical to developing effective management skills such as performance management, recruiting and effective hiring, motivation, team development, effective communication skills, supervisory skills training and time management skills—everything you need to manage people effectively. The Sandler Management Training and Development Program makes it easy to build a successful and satisfying career as a high-powered manager, leader, or executive. It puts you in control of destiny in leadership. So, join the program! It's your move.